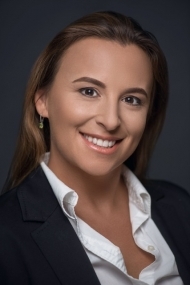 Abaco entrepreneur Sarah Sams has lived in Abaco since birth, except for her years at Valencia and Stetson University in Central Florida where she majored in Fine Arts. After university, she started Pineapples, a popular waterfront restaurant in Green Turtle Cay which has been in operation for over 10 years. Sarah worked as a water sports coordinator at Baker�s Bay Golf and Ocean Club in Guana Cay and went on to start Abaco Paddle Board with her husband, a successful water sports company in Elbow Cay. She�s a licensed boat captain with many years of experience navigating the Abaco chain of cays. Sarah has a wide circle of friends and acquaintances, including locals, second home owners and visitors, as a result of her lifetime in Abaco and various business ventures. She has the insight, experience and commitment to successfully conclude any type of transaction, whether it involves a small home, a private island or anything in between.